Club Champion fitters (clubchampiongolf.com) used the SAM PuttLab to ensure our putting testers were properly fit. Using a fitted putter can save you serious strokes—and we have proof. To complement this month's ClubTest, which features 39 new flatsticks, the experts at Club Champion (one of the nation's top clubfitting companies) studied how well everyday players roll the ball using fitted versus unfitted putters. Turns out, a fitted flatstick is almost a magic wand. Ten golfers, with handicaps ranging from 1 to 18, each hit a dozen eight-footers—six strokes with their current, unfitted gamer and six strokes with a new, fitted putter. Club Champion took measurements of the testers' model (loft, lie angle, shaft length and more) and used the Science&Motion (SAM) Sports PuttLab device to get readings on stroke mechanics (including swing path, face angle at impact and velocity of head rotation). Next, the fitters bent loft and lie in the new models to better match each player's needs. Below is the data collected for a 10-handicapper who used his own putter ("current") and a new, custom-fit model ("fitted"). Note: These readings are representative of the differences we saw throughout the study. 1. Players sank more putts using custom-fit models. A lot more. 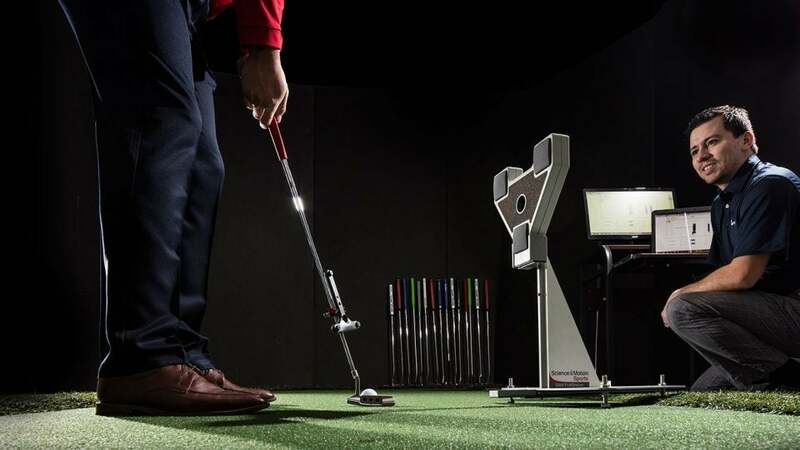 Our testers drained 43 percent more putts when using putters fitted to their strokes, and higher-handicappers (10 to 18) made a whopping 82 percent more. 2. Proper loft helps distance control. Shaft lean, stroke type and putter loft all contribute to launch. Too much loft creates backspin, which can cause putts to fall short. Hitting down on the ball (not enough loft) can push the ball into the ground and also causes putts to run out of gas. Nine of our 10 testers were playing the wrong loft, and seven guys used too much loft for their stroke. 3. Club rotation dictates head balance. Matching the putter balance (ranging from face balanced to extreme toe hang) to the amount of clubhead rotation during the stroke (relative to swing path) helps players square the head at impact more consistently. Too much rotation, for example, causes the face to close too fast. Seventy percent of testers had an improperly balanced putter for their stroke. 4. Swing arc helps determine head style. Blade putters typically work best for more arcing stroke paths while mallets are often for straight-back straight-through strokes. Half of our panelists were playing the wrong head design. For more insight, visit Club Champion's website.